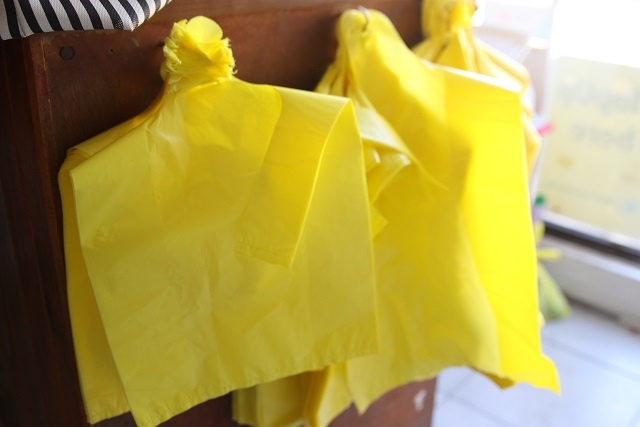 (Seychelles News Agency) - Say goodbye to plastic bags that blow in the wind. Plastic plates, cups and forks are also soon to be a thing of the past. By this time next year those items may be impossible to find in the island nation. The Seychelles' cabinet of ministers this week approved a ban on the importation of Styrofoam lunch boxes and plastic bags, plates, cups and cutlery beginning in January. But that's just step one. By July 2017 those items shouldn't even be found on store shelves in the island nation, said the Principal Secretary in the Ministry of Environment, Energy and Climate Change, Alain Decomarmond. “We envisage that once the ban comes into force in January, businesses which still have these items in stock will have until the end of June to get rid of their stocks and switch to environmentally-friendly alternatives,” said Decomarmond. Decomarmond said importers will then have to provide details of the items that will replace those non-biodegradable products. The replacements will have to be certified by the Department of Environment and the Seychelles Bureau of Standards to ensure they are bio-degradable. He added that the switch is not expected to be costly for businesses. “When we announced our intention last year to ban and eventually phase out these products, we worked on a mechanism to remove taxes on any bio-degradable items so importers of these products stand to benefit when they switch to environmentally friendly products,” said Decommarmond. The principal secretary said that the government of Seychelles, an archipelago in the western Indian Ocean, wanted to make sure there were other options for local consumers before imposing the ban. The Department of Environment is presently drafting regulations for plastic bags, and importers who do not respect the ban as of January will be committing an offence punishable by law. Two local environment groups, Sustainability for Seychelles (S4S) and SIDS Youth AIMS Hub (SYAH) welcomed the announcement. As part of its public awareness campaign, last year S4S introduced bio-degradable boxes made out of sugarcane fibre for take-aways and other food outlets. Martin said that it was quite a tough battle but it has been worth it. “While all the plastic bags, spoons, cups and polystyrene boxes already in use will still be with us for hundreds of years in our landfill, at least in a year's time we should no longer see these unsightly disposable items floating around in the sea and littering our beaches and roadsides,” she told SNA. Angelique Pouponneau of SYAH, said this was definitely good news and a step in the right direction. The group carried out a ‘No Plastic Bag’ campaign last year to encourage people to switch to other environmentally friendly alternatives. “Many people were very sceptical about the campaign and many still are. But we decided to plod on. We saw the bigger vision and that is a healthier environment for humanity,” said Pouponneau. SNA spoke to a local business importing plastic cups and plates at the request of clients. “I think the ban is a good initiative by the government and we totally support it as it is good for our environment,” added Etienne. According to a provisional study of Seychelles’ landfill, plastic wastes account for 33 percent of all wastes in Seychelles.